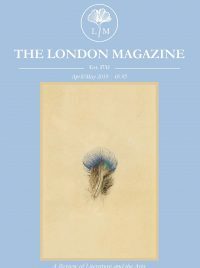 Home TLM News Competitions The London Magazine Poetry Prize 2018 – Winners Announced! The London Magazine Poetry Prize 2018 – Winners Announced! A huge thanks to everyone who entered this year’s poetry prize! We had so many high quality entries this year which resulted in a huge longlist, but eventually our judges managed to whittle it down to the following three entries. All submissions were read anonymously. Here are the winners of The London Magazine Poetry Prize for 2018! As well as receiving prizes of £500, £300 and £200 respectively, each of these poems will be published in the December/January Issue of The London Magazine, as well as online. We enjoyed reading the poems and found it very hard to pick the eventual winners. In the end we chose The Lean Years as the winner as it contained many strong images and emotions within its well constructed form. In second place was Black Fire which we liked for its edginess and intrigue. Finally we placed Self-Addressed in third place, a moving, reflective poem. Congratulation to the three winners and thanks to all the other enthusiastic poets whose work we read with pleasure.